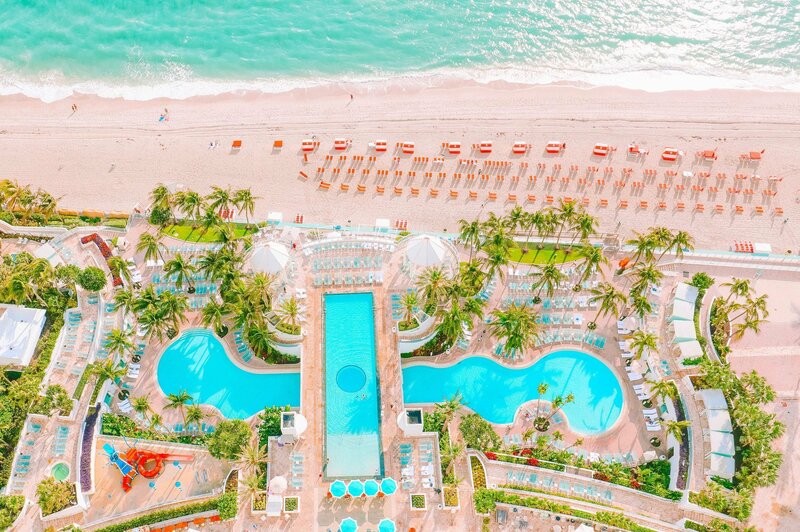 Immerse yourself into the refreshing waters of our beachfront pools. Marvel at panoramic views of the ocean from the edge of the infinity pool, which features a porthole bottom, and two waterfalls that cascade into the 240-foot lagoon pool below. Cool off in the lagoon pool surrounded by lush tropical landscaping and sweeping views of the ocean. Treat yourself to a refreshing cuisine delivered to your chaise lounge from Playa. 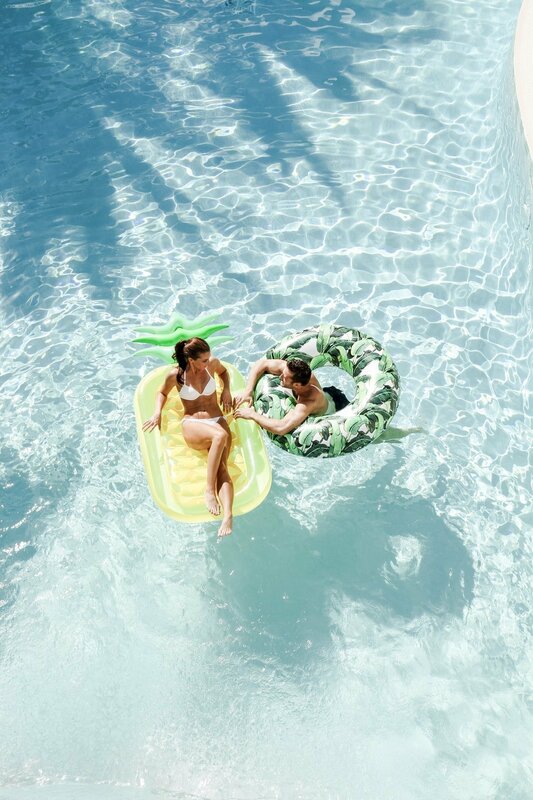 Pool amenities include complimentary towel service, cabana rentals and full-service poolside lunch. Fees apply for some services. 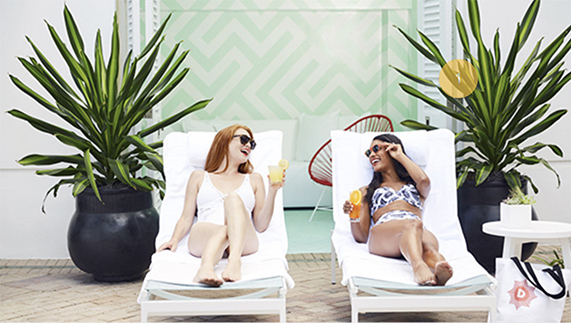 Relax with a chaise and towels – in the sun or under the shade of an umbrella, cabana or beach bed. 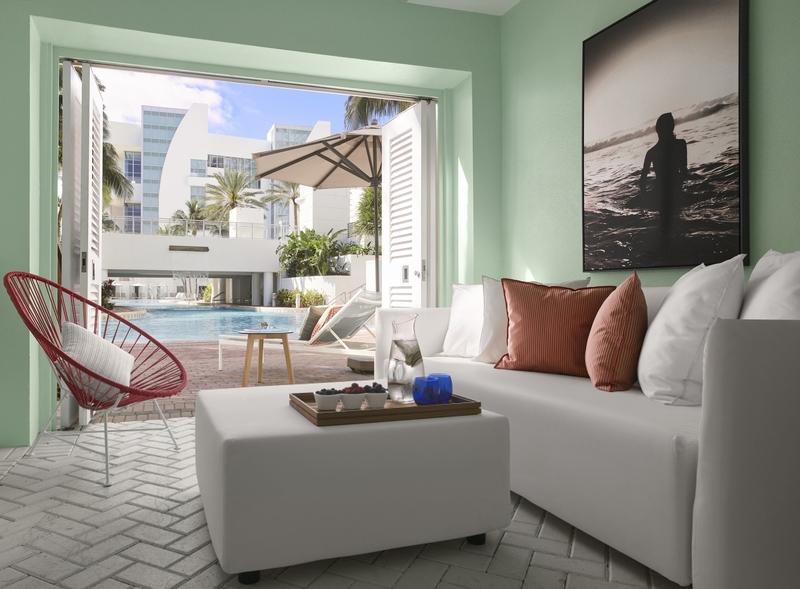 These amenities provide privacy and comfort as you relax and savor beach breezes. Fees apply and may be charged to your room. We offer fourteen spacious poolside cabanas surround the lagoon pool and eleven upper cabanas offer a more secluded experience with sweeping ocean views from the upper deck. Guest(s) must arrive by 12pm to confirm and hold reservation. Advanced reservations are recommended and are available to guests with a room reservation. No parties permitted. If you would like to have a special celebration our Catering department will be happy to help you plan your event in one of our designated event spaces for gatherings larger than 6 people. *pricing varies based on availability ++Rental price is subject to applicable tax and service charge. For current pricing please contact the Recreation Department. ** The cost of any food and beverage ordered from Playa is additional. Stroll down to our Blue Wave-certified beach after stopping by Playa to pick up drinks and snacks. Pilot an ocean kayak or paddleboard into the warm Atlantic surf, strike up a beach volleyball game or snooze under an umbrella by the water. To reserve watersports tours of 1 hour or more information click here or call (954) 602-8690.